As specialists in all thing search related, we are exposed to a range of industries. Within the health and wellbeing ecosystem, there is a fast-growing sector around cannabis by-products for health or medical needs. From Cannabidiol (CBD) oils, to foods infused with CBD, the consumer demands for these products will be high for decades to come. In recent times SEM Consultants’ clients in these industries have been sharing their thoughts and needs with us. They are weighing the pro’s and cons of attending exhibitions, even if their businesses are focused towards online retail. Our advice to them is based on listening to their needs. We thought about how they can dip their toes in the water at relatively low costs and how to take advantage of the infant phase of their industry. We wound one event to base our guidance on and gave them the following guidance to shape their thoughts. 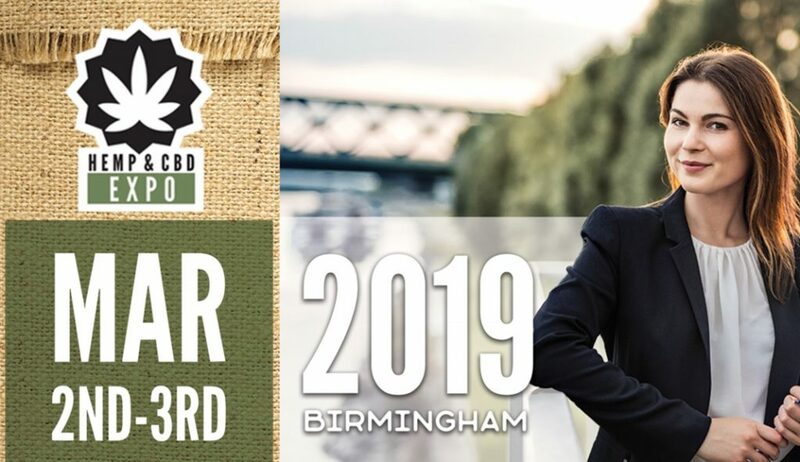 On the 2nd and 3rd March 2019 the Hemp and CBD Expo is coming to the NEC in Birmingham. With B2B and B2C options, this is a vital opportunity for your growing business to engage with the industry. As the first convention of this kind in the UK, it is a great place to optimise relations between the business and customers. As a new and exciting industry in the UK, brand loyalty hasn’t been established to a large extent which creates excellent opportunities for new businesses to get in there early. By being involved in this exhibition immediately forms an aura of credibility about your product, which is incredibly important to customers. Although obviously competition will be strong with so many other competitors around, if you can make your business stand out it can leave lasting impressions on people. Presence is obviously the most important part of marketing your business. If you are not known of, then no one will buy your product. This applies both to online and offline aspects of your business. Being in front of your customers and offering your product or service to them face-to-face can the best way to show how your product is superior to competitors. It’s like if you suddenly deleted your website, no one will find you online. A visible business will always triumph over a superior product with no awareness. Freebies can be a great way to stay in a potential customers mind after the event, things like badges, pens, lanyards, and all of a sudden they’re carrying around an advertisement for your business. Maybe also special offers for those in attendance, to enhance your chances of acquiring a customer, and then hopefully the product will keep them. With hemp and CBD now exploding on to the market, and new uses being found for it all the time, it’s also a great opportunity to learn about other businesses in your sector. Cosmetics, clothing, superfoods, are all going to be present at the expo, and all vying for market share. Knowing the competition can be almost as important as knowing the customers. Expos help you understand where you are in the bigger picture. Even for those on top of their game, this is a chance to stay that way. Meeting new people will invite new innovative ideas to your company. This leads to building stronger relationships with the other businesses within the community. Engaging with the new competitors in the market will benefit your company in the long term. You may spot something you hadn’t thought of being done by someone else. Whether you think it is a good or bad idea really doesn’t matter, all the information you can glean from this event will invite new insights into your own business. Don’t miss out on this opportunity to learn and grow as a business. We are only a phone call or email away.